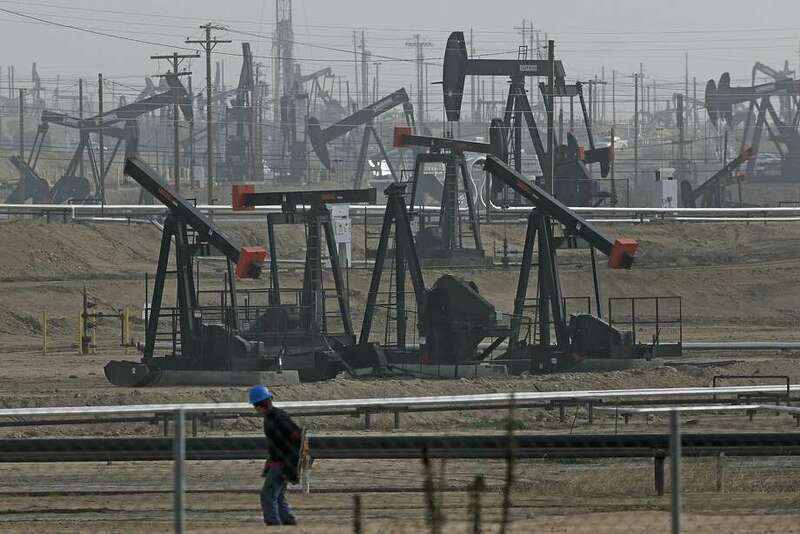 Oil companies in California must stop injecting wastewater from their operations into potentially drinkable aquifers by Oct. 15, according to a plan by state regulators who allowed it to happen for years. In a proposal submitted to the federal Environmental Protection Agency, regulators promised to painstakingly review wells at risk of contamination, ensuring the injections did not taint aquifers already used for drinking water or irrigation in the drought-plagued Central Valley. The plan — from California’s Division of Oil, Gas and Geothermal Resources — comes in response to revelations that, for decades, the division granted oil companies permits to inject leftover water from their operations into aquifers that the federal government wanted protected. Now, with California heading into a fourth year of drought, that water may be difficult for humans to use. A Chronicle analysis found that the state allowed oil companies to drill 171 wastewater injection wells into aquifers that could have been tapped for crops or people. Of those wells, 140 are still in use, according to the division. Injection into those wells must stop by mid-October unless specifically approved by the EPA, according to the plan. An additional 253 wells breached lower-quality aquifers still considered off-limits by the EPA, from which water could have been used with more extensive treatment. Oil companies must cease using these wells by Feb. 15, 2017, barring an exemption from the EPA. The time frame for reform has already drawn fire from environmentalists. But both state and federal regulators say the oil industry will need time to comply. If the division is forced to shut down some wells to protect drinking water supplies, the oil companies will have time to find other ways to deal with the waste. “This is a problem that we worked ourselves into over 30 years, and it’s not a problem that can be solved in a year,” said the division’s new supervisor, Steven Bohlen, appointed by Gov. Jerry Brown last year. The problem dates to 1983, when the EPA gave the division authority to enforce the federal Safe Drinking Water Act in California’s oil fields. The state’s oil reservoirs typically contain large amounts of briny water mixed with the crude. Companies must separate the oil from the water and get rid of the water, which is usually too laden with minerals and hydrocarbons to be used for drinking and irrigation. In addition, oil-extraction techniques such as hydraulic fracturing use freshwater that becomes tainted in the process and needs disposal . Companies inject much of the leftover water back into oil reservoirs. But some of it is pumped into salty underground aquifers that have no oil. The 1983 agreement listed by name aquifers that the oil industry would be able to use with a simple permit from the division. But in a bizarre snafu, there were two signed versions of the agreement, one of which listed 11 aquifers not found on the other. The division started issuing permits for injection wells drilled into those aquifers, even though they didn’t previously contain oil and weren’t viewed by the EPA as suitable for wastewater disposal. Under the agreement, the EPA has final say on which aquifers the oil industry can and can’t use. The state even authorized oil companies to inject into a handful of aquifers already in use for drinking and irrigation, leading to the emergency closure of eight injection wells last year. Officials have now tested nine nearby drinking wells for contamination and found none. But aquifers tainted with chemicals are difficult and expensive to clean, and state water regulators say they can’t be certain that contamination won’t eventually turn up in those drinking water supplies. In the future, oil companies will need to build a case for why specific aquifers should be considered suitable for wastewater disposal, according to the division’s proposal. The companies will submit their data to the division and the State Water Resources Control Board for review. If those two state agencies agree, they will — together — ask the EPA to allow injections into those aquifers. As for the 11 aquifers compromised by the 1983 bureaucratic mix-up, injections there will be phased out by mid-February 2017, unless the EPA decides to let them continue. Executive Dow Constantine says a training exercise helps but the region needs a reduction or elimination of the dangerous trains. Five rail cars carrying petroleum crude oil derail and catch fire near Boeing Field, about five miles south of downtown Seattle. That was the scenario during a tabletop exercise King County held Tuesday. The planning exercise took place less than two weeks after three tank cars carrying highly flammable crude oil from North Dakota derailed in Seattle’s Interbay neighborhood. That incident was relatively benign. None of the cars leaked or caught fire. The mock scenario discussed on Tuesday was designed to be far more precarious. The exercise highlighted some of the complications responders might face when dealing with burning tank cars of crude oil, such as monitoring toxic smoke, transporting evacuated people and delivering information to the public. Between eight and 13 trains operated by BNSF Railway Co. pass through King County each week carrying crude oil, according to information the railroad released in June to the Washington Military Department. A local fire chief involved in the exercise acknowledged on Wednesday that responders would most likely have to let some of the fuel burn off if one of those trains crashed and five tank cars were ablaze. The cars commonly used to transport petroleum crude oil have a capacity of about 30,000 gallons apiece. In past wrecks, un-breached cars, heated by surrounding flames, have ruptured in dramatic explosions. “We’ll want to probably suppress the fire enough to assess the integrity and exposure to the other tank cars. We’d certainly want to minimize life risks,” said Mark Chubb, Fire Chief of King County Fire District 20. “It’s unusual for all five tank cars to breach,” he also said. Battling flames would not be the only problem that burning tank cars of crude oil would present for responders. Walt Hubbard, director the King County Office of Emergency Management, viewed Tuesday’s exercise as helpful, because it got people from different agencies together in the same place, talking about how they would coordinate and communicate if there were a serious crude oil train accident. In addition to emergency responders, staff from local transportation and public health departments attended, as did officials from federal agencies, such as the Federal Emergency Management Administration, the U.S. Coast Guard and the Environmental Protection Agency. Representatives from BNSF were also on hand. The company operated the train that derailed in Interbay. For Hubbard, having the railroad representatives at the exercise was important. “We want to keep them engaged,” he said. Hubbard specifically pointed to dialogue that took place between BNSF representatives and fire officials about what kinds of equipment and people the railroad could deploy after an accident. “That was a very good exchange,” he said. Another topic that came up during the exercise was evacuations. If a rail car of crude oil is on fire, U.S. Department of Transportation guidelines recommend that responders consider evacuating people within a half-mile of the accident scene. The risk of an explosion would be one immediate reason to evacuate the area around the fire. But Chubb, the King County fire chief, also noted that toxic smoke is a hazard, and said that responders would consult with officials from public health agencies and the EPA when considering whether to tell people to leave the area.